Welcome back to the Bangkok Travelbug for the last issue for 2009. December is my favourite time of year, as we usher in Christmas and the New Year. 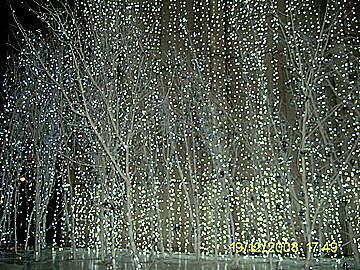 At Christmas, Bangkok takes on a different look especially in the malls and hotels. If we put together all the different places, it almost reminds me of Orchard Road in Singapore at Christmas and that makes me a little homesick. Looking at Christmas trees and decorations always makes me feel this way. 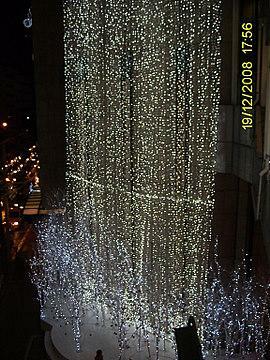 Please let me share some of my Christmas memories in Bangkok with you. This has got to be my favourite. 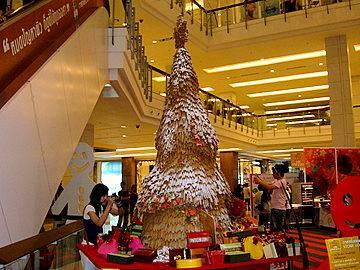 Now this Christmas tree is made from solid chocolate cake, sponsored by a local bakery chain. 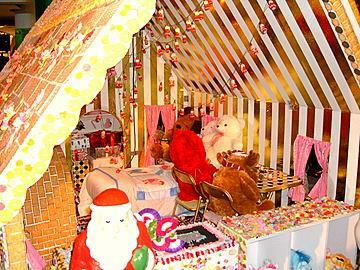 This gingerbread house and its residents were a favourite with the crowd. 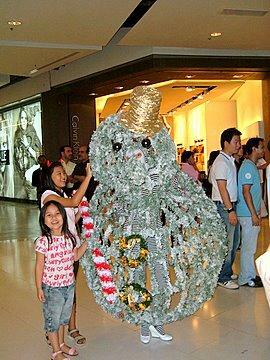 Here’s something to bring you all the good cheer of Christmas from Bangkok! I’ll be bringing you photos of this year’s Christmas closer to the day. Have a warm and beautiful Christmas with your family and friends. May all your hopes and plans be fulfilled in the coming New Year. One of our readers Rex Hu from Pai, Mae Hong Son, northern Thailand, submitted this beautiful shot of the Pai river valley. Rex is another classmate and old friend of mine from Singapore. 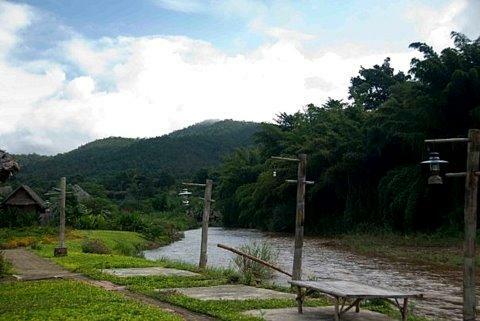 This photo was taken from his home just outside the town of Pai. As you can see, besides his love for nature, he’s got an irrepressible sense of humour, which hasn’t changed through the years. 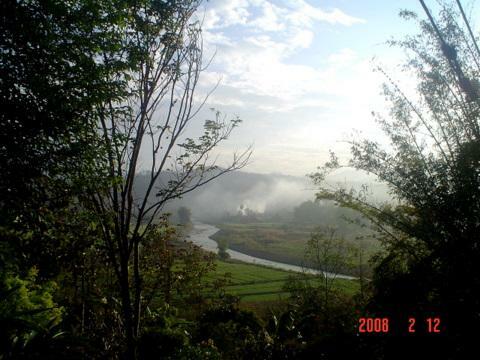 Thank you, Rex for sharing the beauty of Pai. Another reader, Navik Numsiang from Bangkok took this shot of Pai during a recent holiday there. Thank you Navik for sharing your holiday memories with us. If you have any favourite photos of your hometown or holiday experience, please share it with us at our photo sharing gallery. View what others have submitted. As it’s Christmas, trains can make very good presents. 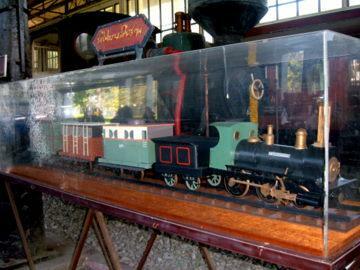 However most of these trains at the Thailand Railway Hall of Fame aren’t models. They are life size. In 1853, Queen Victoria presented King Rama IV with Thailand’s first train. What you see below is a model of that train. 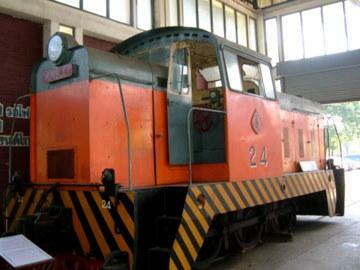 This is one of the early steam locomotives in service during the 1950s and 1960s. 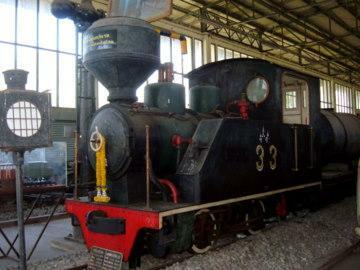 Steam engines were later replaced by diesel engines. The Thailand Railway Hall of Fame marks a landmark in public transportation in Thailand with the introduction of rail travel in 1893. This is the latest museum opened on 15 September 2009 in an old building that has been designated as a national heritage. Nonthaburi is an old province, far older than Bangkok and this museum preserves the history, culture, way of life of the people and the arts and craft of the communities. Find out more about this museum at Museum of Nonthaburi. The Yaowaraj Heritage Centre is going to open officially on 5 December 2009 on the King’s Birthday. This centre preserves the history of the early Chinese immigrants in Bangkok and Thailand. The centre replaces the Samphanthawong Museum which was demolished 2006 to make way for this new building. 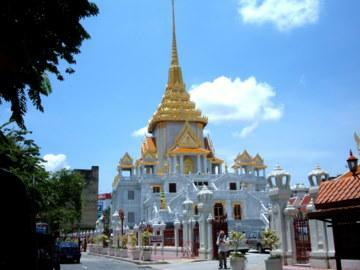 The new building within the grounds of Wat Traimit will also be the new home for the Golden Buddha which was housed in a smaller building before. The contents of the Yaowaraj Heritage Centre will be covered after my visit in December. Because it’s such a beautiful month, a month in which we should all be happy, I wouldn’t want to distract you with anything else except happy scenes and memories. Have a Merry Christmas and a very Happy New Year. See you next year and may you have a good year ahead. Give your loved ones a Christmas present that could last a life time. For a bright start to the New Year, we present the sunflowers of Lopburi. See you then.